Taemin joined a chat group where his fans gathered but unfortunately got kicked out soon after. 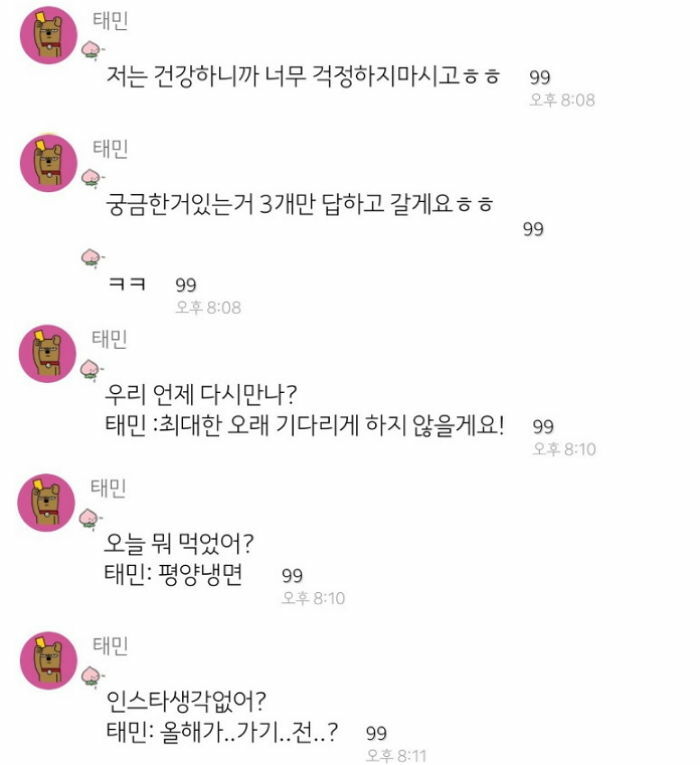 Taemin appeared in one of chat groups created by his fans on Kakao but no one believed that he was the real Taemin. The rule in the chat room was to only communicate with pictures and not words but Taemin replied to one of the questions which resulted him being kicked out of the room. The SHINee maknae tried ways to prove himself and uploaded selfies that fans have never seen before. 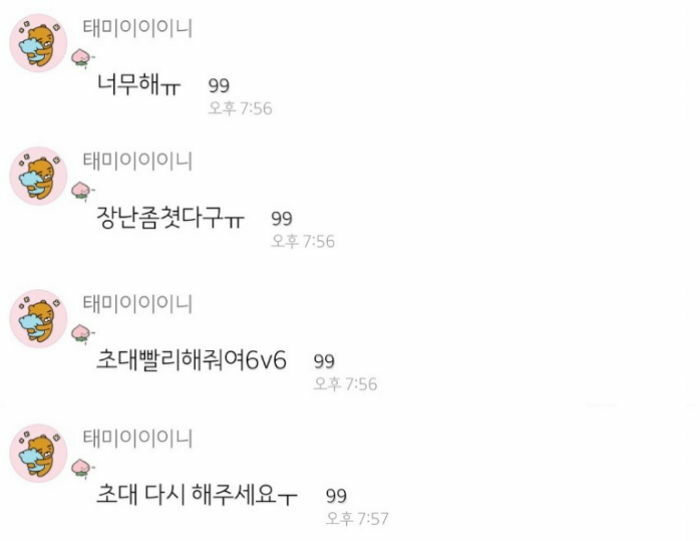 Taemin: "I was just joking ㅠ"
Taemin: "Please invite me quick 6v6"
Taemin: "Please invite me again ㅜ"
After fans have recognized him as the real Taemin, the maknae left the words he wanted to say too. Taemin: "I am healthy so don't be too worried about me ㅎㅎ"
Taemin: "I will just reply 3 things you guys are curious about and leave ㅎㅎ"
Taemin: "When will we meet? Taemin: I will try my best not to let you guys wait too long!" Taemin: "What did you eat today? Taemin: Pyeongyang cold noodles"
Taemin: "Do you have no thoughts about Instagram? Taemin: Before this year...ends...?" 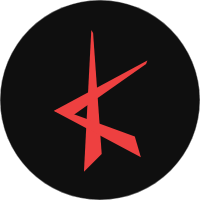 Fans sure had a great but shocking time then!